Church of Gaming | RPG Review Cooperative, Inc. 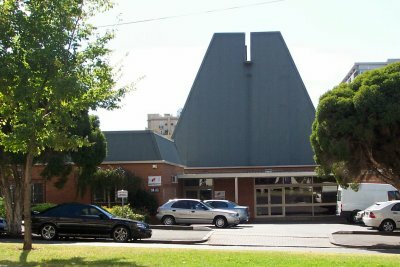 The Church of Gaming is an unincorporated association that meets at the Melbourne Unitarian Church (Australia, 110 Grey St East Melbourne, Victoria) since 2004. We meet on Sundays from 2pm to 7pm with regular table-top role playing sessions and occasional social events. In the past the Church of Gaming conducted play-testing for the latest edition of RuneQuest and Chaosium's Basic Role Playing. Current game-stories include a RuneQuest Prax game and Gulliver's Trading Company. Every Easter we play Bunnies & Burrows. Past games include an AD&D 1st edition retro campaign, a DragonQuest campaign, GURPS Australian Noir, Legend of the Five Rings and Bushido and many others! Whilst the name of the club is strongly tongue-in-cheek, regular participants are encouraged to become associate members of the Church at an annual cost of $5.50. The club runs a general mailing list and also lists for each game-story.